This badge was issued to ADRIAN SOERANTO on 14 Jan 2019. The badge earner can articulate and perform the end-to-end tasks involved in building and deploying a domain specific machine learning annotator using Watson Knowledge Studio. They can explain and deploy the machine learning annotator to other Watson services and solutions such as Watson Discovery service, Natural Language Understanding and Watson Explorer. 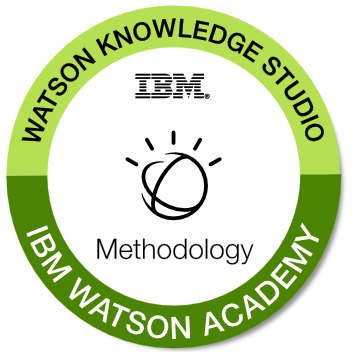 They can also explain the different roles that are involved in a Watson Knowledge Studio project.